Where is Furniture being sold and who sells what type of product? This is the first factoid in a series detailing the Furniture Industry’s Distribution Channels. Factoid #1 shows Furniture Retail Sales by Distribution Channel in selected years – 2002, 2007, and 2014. Furniture and Home Furnishing Stores are at the heart of Furniture Distribution – accounting for over 2/3 of the industry. 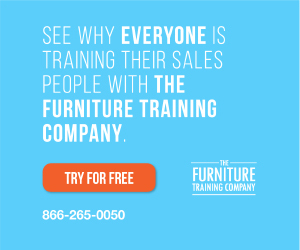 This channel includes traditional furniture stores along with specialty furniture retailers, mattress stores, and other retail outlets where furniture is the primary source of sales. Of course many different business models drive this category, including manufacturing and retail verticals, national and regional and national chains, and Mom and Pop dealers. This main channel reflects the ups and downs of the economy from 2002 to 2014. From 2002 to 2007, Furniture and Home Furnishing Stores rose 13.6% in sales before falling (-10.6)% - an overall increase of 1.5% in 2014. 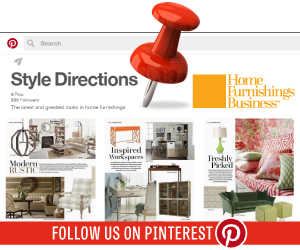 The most noteworthy changes occur in Electronic Shopping as the online distribution of Furniture has made great strides despite the Recession years. Over the course of twelve years, Electronic Shopping has jumped 627.2% - increasing 201.3% the first 5 years and 141.3% the latter 7 years. Furniture Retail Sales grew from 1.8 Billion in 2002 to 13.0 Billion in 2014. Both General Merchandise Stores and Warehouse Club and Supercenters grew in distribution from 2002 to 2014. General Merchandise Stores increased by 27.3% from 2002 to 2007 and 47.5% from 2007 to 2014 – with at total growth of 87.8%. While Warehouse Club and Supercenters had just a slight increase of 2.9% from 2007 to 2014, they had an overall jump of 24.3% over 12 years. All other distribution channels showed substantial declines over the 12 year span. With the exception of Discount Department Stores showing growth of 8.8% from 2007 to 2014 after a drop in the first five years, the remaining channels decreased both time increments. Source: Figures reflect data from the U.S. Census of Retail Trade issued every 5 years – 2002, 2007, and 2012. 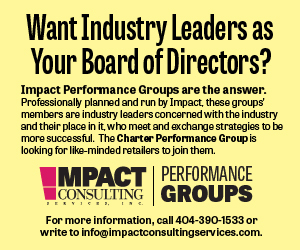 Figures for 2014 have been estimated by Impact Consulting Services” furniture industry model.